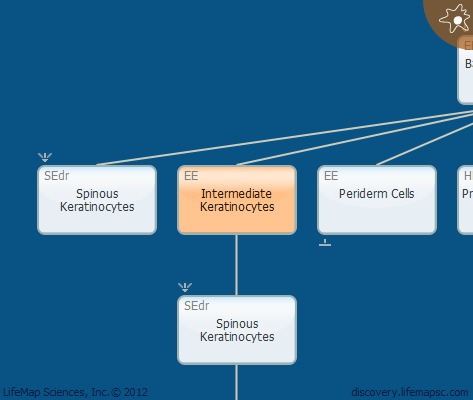 Intermediate keratinocytes are the first differentiated cells of the embryonic epidermis. These cells form a layer between the basal keratinocytes and the periderm. Intermediate keratinocytes express Krt1, and at the same time, are highly proliferative, a combination which is unique to the intermediate state. As soon as mature epidermis is formed in the embryo, no intermediate keratinocytes are formed.